30 November 2018: The ACT Chief Minister has announced three appointments to the University of Canberra Council for term that commenced on 19 November 2018. Ms Annabelle Pegrum AM and Dr Michael Schaper are new to the Council and have been appointed for three-year terms. Dr Tom Karmel AM has been re-appointed for a further three-year term. Dr Schaper is the incoming CEO of the Canberra Business Chamber, the ACT's peak industry body. Prior to this role, he spent 10 years as the Deputy Chair of the Australian Competition and Consumer Commission, the nation's principal economic and consumer protection regulator, where he had special responsibility for small business, franchising, industry and professional associations, and relations with the university sector. Dr Schaper has also previously served as the ACT's Small Business Commissioner, and in 2009 was named ‘national small firm champion’ by the Council of Small Business of Australia. He is currently also an ACT division councilor for the Australian Institute of Company Directors. 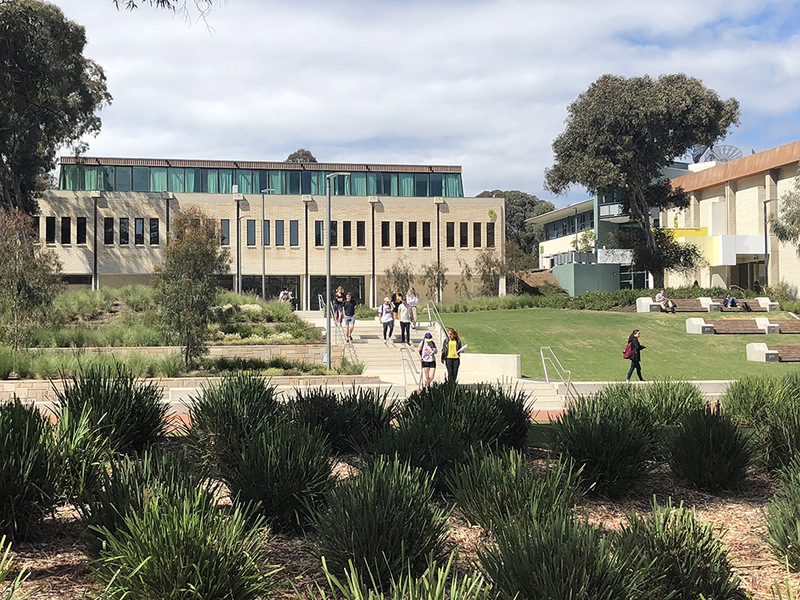 "The University of Canberra already has extensive links into the local ACT business community, and as a practically-focused institution, I'll be keen to encourage more of this. UC has a lot to contribute to both our private and not-for-profit sector, through its research, its teaching and the calibre of students that we graduate,” said Dr Schaper. "Good governance and strategy is essential to the success of any university, especially at a time when the tertiary landscape is changing markedly. I look forward to working with other councilors as UC enters the next phase of its history," Dr Schaper continued. Ms Pegrum is a Canberra architect and a Life Fellow of the Australian Institute of Architects. She is an Adjunct Professor in architecture at the University, where she has also been the University Architect and a Professorial Fellow for the design disciplines. Ms Pegrum is also a graduate of the Australian Institute of Company Directors and has held executive positions with the ACT Government. Ms Pegrum was the Telstra ACT Business Woman of the Year in 1998 and a recipient of the 2001 Centenary Medal. In 2007 she was appointed a Member in the Order of Australia for her contribution to Australia’s National Capital and to architecture, particularly as a mentor to women. “I am delighted to join the University of Canberra Council with the opportunity to contribute to the realisation of its ambitions and continuing rise in world rankings. A long history of involvement with the University has deepened my commitment over the years,” said Ms Pegrum. “I have seen it grow and strengthen as a progressive contemporary Australian institution, delivering an outstanding student experience and contributing to valuable research. The University is a source of pride for Canberra and it is a privilege to be part of its future,” continued Ms Pegrum. Dr Tom Karmel said he was delighted to be reappointed to the Council. “I look forward to contributing to the work of the Council, at a very interesting time for higher education in Australia. Budgetary pressures in the sector following a period of rapid expansion, the challenges posed by the internationalisation of the student cohort, and the unfriendly labour market for an increasing number of graduates, make it critical that the University of Canberra continues to carve out its own niche in the sector,” said Dr Karmel. The new members join Dr Chris Faulks, Ms Barry Mewett, Ms Prue Power AM, Mr David Sturgiss and Mr Glenn Keys AO as Council members appointed by the Chief Minister.